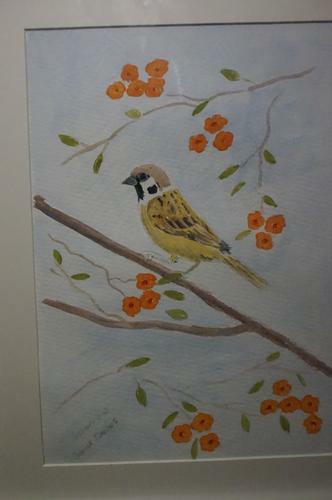 A sparrow on a flowering branch. Mounted, not framed. 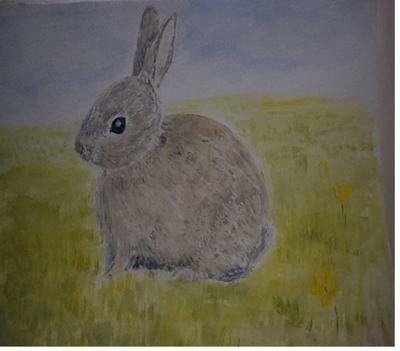 A cute baby rabbit with grasses and wildflowers. Mounted, not framed. 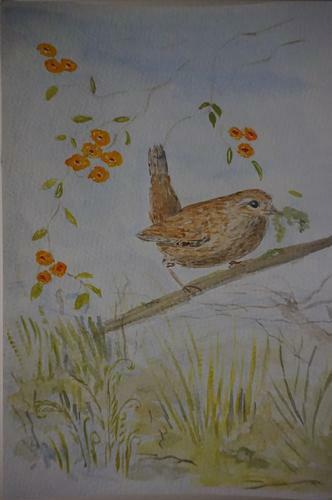 A sweet little wren on a branch with nesting material in its beak. 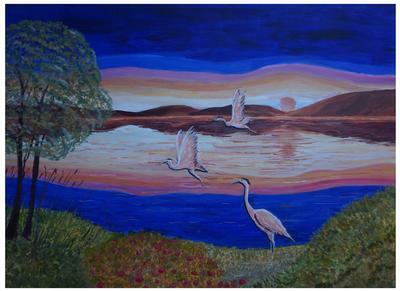 This small painting is on Paper, mounted (Matted) but not framed. 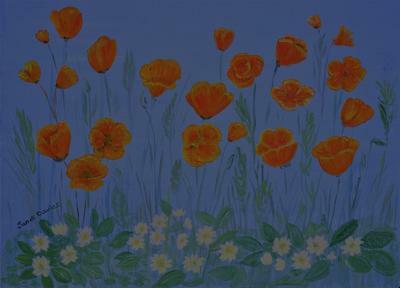 Brightly coloured pretty flower art.Orange blue white and yellow. 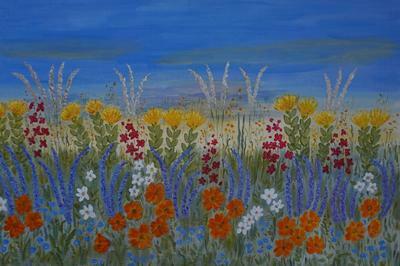 Price includes white frame, all ready to hang on your wall. 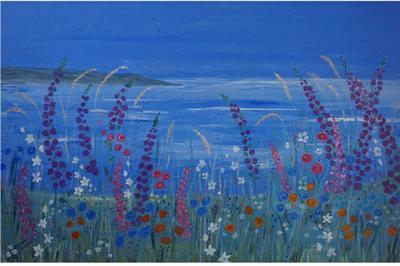 Lovely blue seascape with brightly coloured flowers in shades of blue purple red and white. 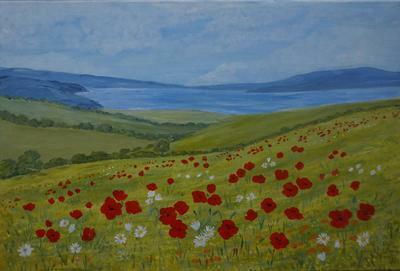 On canvas with deep edge, painted, framing not required. I use only fine art quality acrylic paint.